“People like yourself”... Really man? Can we not have difference of opinion in a civilized conversation? Fact is, losing to Kentucky, LSU, and Auburn should raise some concern considering we’ve all been praising this team as “great” all year long. Based on our record against top notch opponents it is fair to conclude that we are GOOD, not great. There’s nothing wrong with that and certainly doesn’t make one any less of a fan by coming to that conclusion. LSU lost to UF and Arkansas. Quick question...who are your projected Final Four teams? Well, pick a projected bracket to choose from and I'll give you my choices. They are not all the same and just assumptions so far. However, in the spirit of compliance, I will pick Duke with a healthy Zion and Gonzaga for the first two teams. Does anyone really doubt that Duke is a F4 team when Zion is healthy? Virginia would be my 3rd team with the 4th team being a toss-up. Of more interest to me right now--who do you guys have making it to Saturday in the SEC tournament? This. Bottom line, we finished with a better overall record than projected, and almost exactly where we were predicted both nationally, and in the SEC. If that disappoints you, find another team to cheer for. We don't need you. Well, please don't put me in that category. I'm WELL PLEASED with the season and the job Rick Barnes is doing. My disappointment as a VOL FAN is in our failure to beat an inferior team (Auburn) on the road to close out the season on a high note. My doubts about this team are generated from what I perceive to be a lack of intensity and focus for an entire game. It almost appears to me that these guys know how good they can be and just think they can turn it on and off when they need it instead of laying it on the line for the full 40 minutes. That's a recipe for disaster in the post-season no matter what sport you play. And I also don't think that we've played our BEST game as a team yet. I just want to see that BEST game from this team. Please don't tell me that the Gonzaga win last fall, or that the KY win at TBA was as good as it's gonna get--and that I should be satisfied with those "quality" wins. I would certainly hope that the guys on the team do NOT think that way. Well, Duke lost to an unranked Syracuse team at home with a healthy Zion. And whoever you lump in as your 4th team has an inexplicable loss on their resume as well. So, don’t beat the team up too bad over a loss to a shoe-in NCAAT team on the road. It happens to the best of them. But just a quick reminder to you guys who keep throwing Duke in my face---WE AIN'T DUKE...or NC....or KY. In fact--we have ZERO FF appearances! Duke's loss to Syracuse was inexplicable BECAUSE they are almost always expected to make the FF. So throwing them in my face is the LEAST LOGICAL thing to do. At the end of the day we want the same thing--for our VOLS to play up to their POTENTIAL. Prior Final Four appearances have no relevance to this year's teams. Your statement was that a FF team wouldn't lose to a team like Auburn on the road. I am willing to bet that you can go back to all of the previous FF teams and find that a vast majority of them lost to a team like Auburn on the road. I get that we want our team to play better and win big games. But just cautioning that a 27-4 record is an unbelievable accomplishment and not a disappointment. Agree that we want the same thing. I just find it curious that many like yourself are ready and willing to excuse Duke's losses, yet are quick to find immediate fault in our own. Good teams lose games to lesser teams sometimes. Even Duke, with all their star power. Kentucky and UNC, too. Number of Final Fours has nothing to do with that. Duke's loss was inexplicable because 3 of the top 5 picks in the upcoming NBA Draft are on their current roster. Talk about an illogical argument. Once again, reading is fundamental. Nowhere in ANY post in this thread have I expressed disappointment in a 27-4 season. In fact, I've said the exact opposite just a few posts above. And I make no apology for being disappointed that we failed to close out a game we should've won against an inferior team like Auburn on the road. about how unbelievable ESPN was for showing Auburn the favorite to win--and you want to talk to me about inconsistency and illogical statements. Just what kinds of teams will we have to beat to make it to the FF? We're gonna have to beat teams with good/great point and shooting guards by defending the three and minimizing our turnovers. We didn't do that against Auburn--an unranked team who has two great guards, but no answer for Williams' game on the blocks. definitely WILL have an answer for Williams' game. And we won't be playing those teams in TBA. Mike it's simple why Posters came at you. They came after you because of this post. I agree that 3 of the top 5 picks in the NBA draft come from Duke--that's why their loss was inexplicable to Syracuse. You don't expect them to lose to inferior teams. And a program's tradition and number of FF appearances has EVERYTHING to do with it. Because, even though teams like Duke, NC, KY, Kansas, and Michigan State manage to lose inexplicable games during the regular season they ALWAYS seem to elevate their game and make it out of the sweet 16 into the Elite 8 and beyond more times than not. It's their REPUTATION as a program. Just like Bama in football, and the Yankees in baseball. There's a certain "mystique" to those elite programs. You can call me every name in the book to make yourself appear superior--and I'll agree with you. I have no doubt that you have more BB knowledge than I ever will. But the simple truth is that we don't have that REPUTATION as a BB program BECAUSE we continue to lose games that we should win--games like Auburn on the road. It's just that simple in my mind. But, once again, I do confess that I'm not a BB expert. I honestly see us with a MAJOR struggle in the SEC Tournament just being able to beat Miss. State and making it to Saturday. I understand that.... I guess that I explained it poorly. victory on the road against an INFERIOR and UNRANKED Auburn team to preserve a chance to get a No. 1 seed in the dance. I've explained that reasoning above. All of you experts retort with some BS nonsense about Duke et. al. having inexplicable losses on their resume--which I completely understand and agree with. But the POINT was about TENNESSEE, not those other teams like Duke, NC, KY, et. al. who have those losses EVERY YEAR and still seem to elevate their game beyond the sweet 16. Everyone expects those kinds of teams to suffer some sort of inexplicable loss each year. 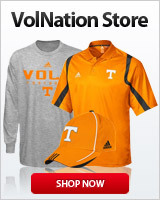 WE, at TENNESSEE, don't have that established tradition. I'm looking for evidence that we're actually good enough to finally make our FIRST FF. And you guys are so busy trashing me that you fail to offer up any SOLID reasons why this team will actually make it to the FF. You tell me that reading is fundamental? I have read everything you have posted. You make a conclusory statement and then back it up with inconsistent statements. As I said before, it is difficult to reconcile your inconsistent statements. The difference is this- I, too, share your disappointment that we didn't beat Auburn. You don't have to apologize for that. But, that doesn't mean that we can't make a FF. Your statement about FF teams would have beaten Auburn is just not true, considering many FF teams have lost to teams like Auburn. That said, I know we all hope the guys in orange play well this weekend. Take your L and stop moving the goalposts about what you "meant". You made a stupid statement and are whining you were called out for it, and posts like this are just making it worse. Tradition and all that has absolutely jack **** to do with what you said, and you know it. Man, it seems like you are taking it way too personal. Disagreeing with you doesn’t equate to trashing you and calling you names. It just seems that no one agrees with you. It just doesn’t seem to connect with you that as it pertains to this season, and this season only, every team but UVA has a questionable blemish on their record. History, Final Fours, etc., have nothing to do with that. Tennessee’s loss to Auburn is probably the least damning of all those questionable losses by potential F4 teams, but almost everyone will agree with you that it certainly was a disappointing loss. But it has no bearing on this team’s ability to compete with anyone. This is the first time I have seen you ask for evidence that we are a F4 team. You seemed content to just repeat the importance of F4 history to explain inexplicable losses this season. If you want some evidence, Tennessee is 1 of 9 teams with an offensive efficiency in the top 20 and a defensive efficiency in the top 30. The others, Gonzaga, UVA, Michigan St, Duke, UNC, Kentucky, Michigan, and Houston. Since 2002 (17 seasons), only once has a team outside of the top 20 in offensive efficiency and top 30 in defensive efficiency won the title. NO, it wasn't a stupid statement--I meant EVERY WORD OF IT! Good grief, folks--I'm not an expert in BB, but even I KNOW that NONE of the teams going into the DANCE are undefeated!! Tenn has NEVER made it to the FF--UNLIKE Duke, NC, KY, etc...etc...etc... I NEVER brought them into the discussion--some dipstick did in a completely irrelevant manner because he ASSUMED that I meant something that I NEVER meant as a GENERALIZED, ALL-ENCOMPASSING, NCAA-WIDE BB TEAM STATEMENT. I made the statement in context about THIS YEAR'S TENNESSEE TEAM. And Yes, I'm just a little pissed off that you guys twist my words to fit your own narrative--and then blame me for it. But, that being said, the LAST 30 YEARS have taught us that regular season losses for teams like KY, Duke, NC, Mich. State, etc...etc... have very LITTLE to do with estimating their performance in THE DANCE. That's CALLED TRADITION.....It's established from ACTUAL PERFORMANCE. They HAVE IT--WE DON'T--because they've BEEN THERE AND DONE THAT! WE HAVEN'T. Those teams simply re-load year after year because they keep getting the best recruits BECAUSE OF THEIR ESTABLISHED TRADITION OF WINNING! We cannot beat an unranked team on the road with a potential No 1 seed on the line--a team who lost TWICE to Ole Sis, and once to USCe. make the FF. I'm still looking for that evidence. We're 3-4 against the better teams on our schedule. I'll leave you all to yourselves. Evidence? there is no such evidence that any team will make a Final 4 run. Look at Chicago-Loyola last season. where was there at any time any evidence that they would make a F4. What you are asking doesn't exist for any team. why demand it of your own? Thanks for the data. It is actually constructive and greatly appreciated. I don't even know where to find that stuff. BTW, I had Houston, Mich. State, and KY all as potential teams to round out my FF. But the brackets are not all the same--so some of those 3 teams as my 4th pick for the FF might be in the same bracket. I was going by the Polls that came out at the end of the regular season. I included Louisville, Zags, Kansas, KY x 2 games, LSU, and Auburn--all ranked teams at the end of the regular season. We are 3-4 in those games. How did Duke fare against the 7 best teams they faced this year? Wow this thread took a @#$# turn for the worse. 4-3. Beat UVA x 2, Texas Tech, UK. Lost to UNC x 2, Gonzaga. All those teams are in the top ten right now. We went 2-2 against the current top ten. UVA went 1-2, UNC 3-3, Gonzaga 1-2, UK 2-3. Nothing in those records separating any of those teams. And on the flipside, what are the records of those same teams against teams not currently ranked in the top-25? I can name two who are undefeated. It almost feels like some of our fans would trade good wins over top 25 teams for bad losses to teams outside the top 25. Like they'd rather see us finish 20-11 and 6-2 against the top 25 than 27-4 and 3-4 against the top 25. If we finish the season with 4 losses, and all 4 came to teams inside the top 25 of the final regular season poll, I call that a great year. Especially when we had some success against teams in that range as well.